Working across Brent in collaboration with Salusbury World, I designed and ran a borough-wide poetry project for Refugee Week 2012. I ran over 20 workshops in 6 schools and 1 youth club, leading to over 100 young people writing original poetry inspired by the theme ‘flight of hope’. 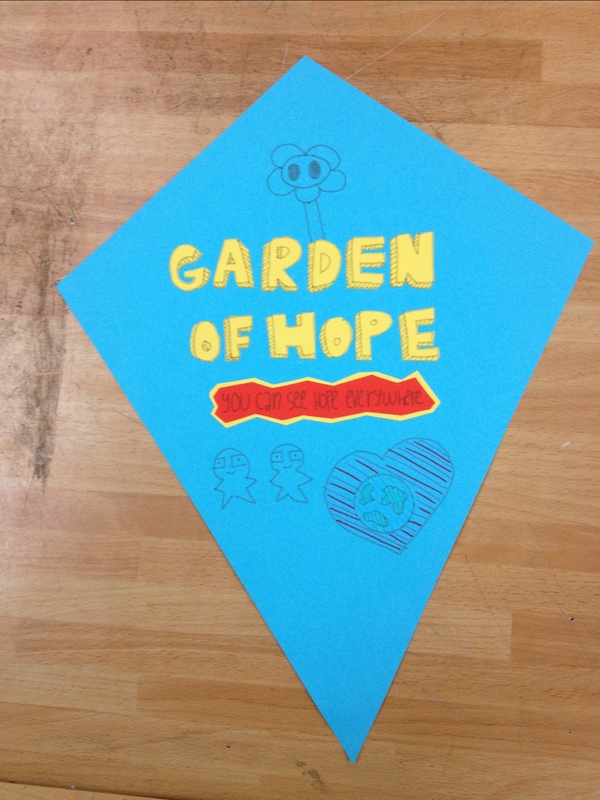 A larger number of pupils also made kites in a variety of styles, shapes, sizes and colours, all of which contained original poetry linked to the theme of hope, and the refugee experience. The project culminated with participants from all schools coming together at The Tricycle Theatre to share their spoken word pieces with each other, and to create the ‘flight of hope’ installation onstage with their kites. The event was a huge success, supporting the idea that Refugee week should be about ‘encounters’ between different communities. Another way for the schools to link up throughout the process was the project blog, (http://flightofhopeblog.wordpress.com) where participants were able to see their own work, as well as writing from participants at other schools, and photos from the sessions. They also enjoyed reading, watching, and listening to drafts of my commissioned pieces for the project as they developed – an open creative process that saw me respond to the feedback and ideas of the young people involved.